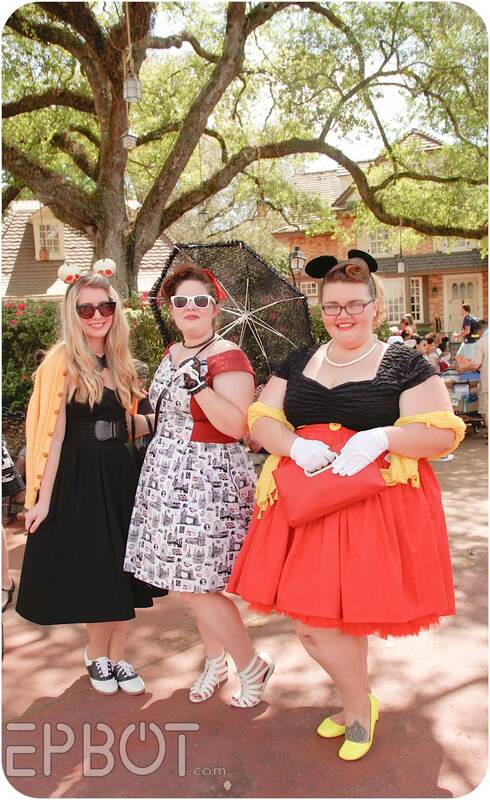 Last Saturday hordes of well-dressed Dizgeeks descended on the Magic Kingdom here in Orlando, braving the nearly 90-degree heat in gorgeous vintage fashions and dapper accessories. 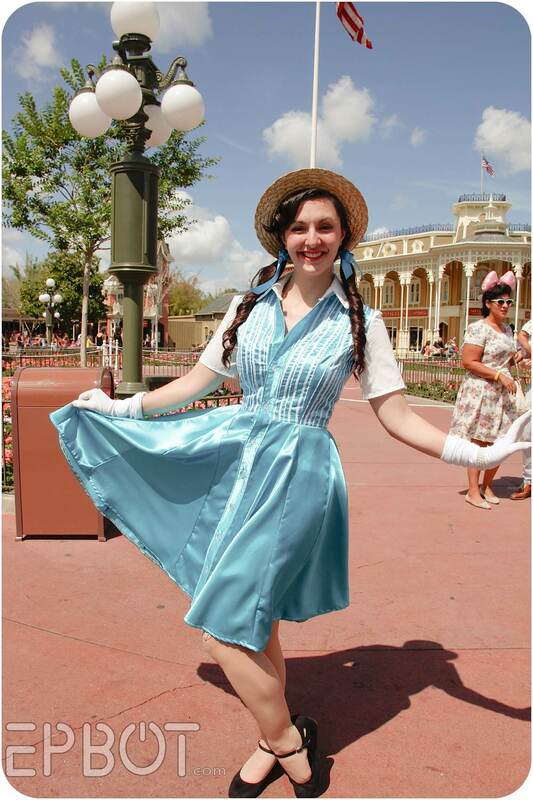 Even better, many fans incorporated Disneybounding into their snazzy styles, so you could easily spend the whole day people-watching and guessing who's-who! 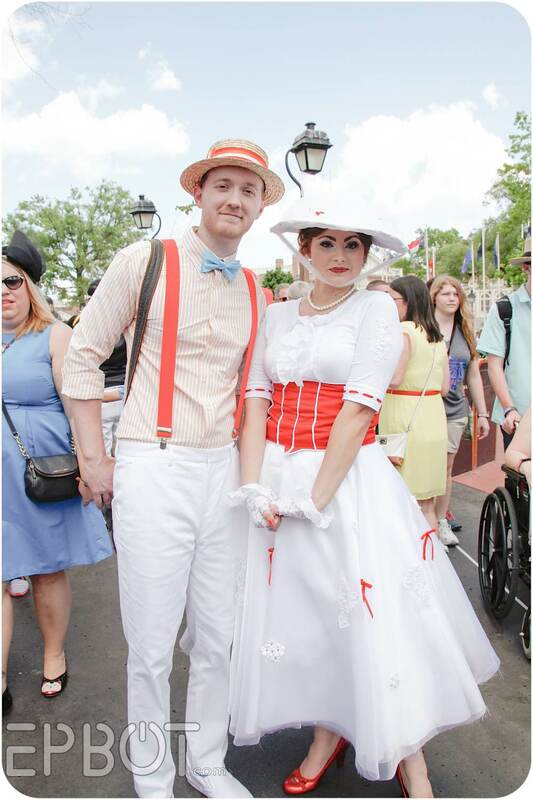 Dapper Day has positively exploded in attendance over the past few years, and it was a delight to see so many beautifully turned out guests roaming the parks with parasols, walking sticks, and the like. 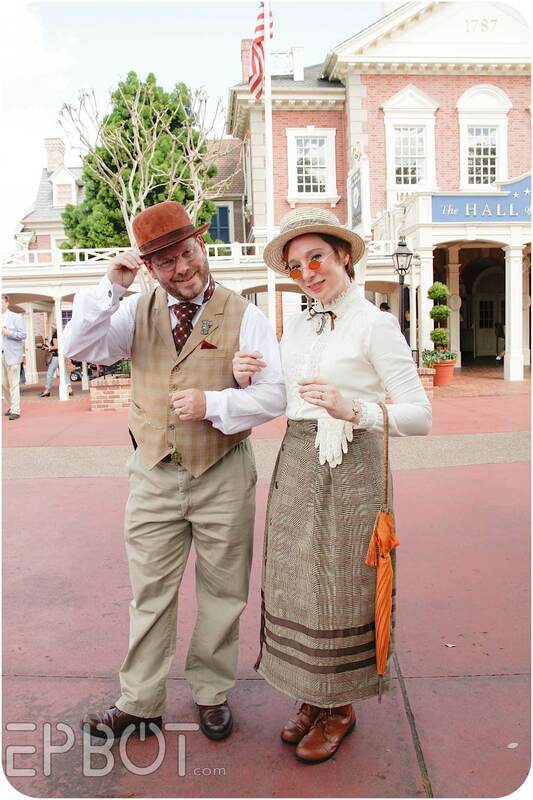 They brought a real sense of elegance to the Magic Kingdom, and made the rest of us feel downright schlubby by comparison. Heh. 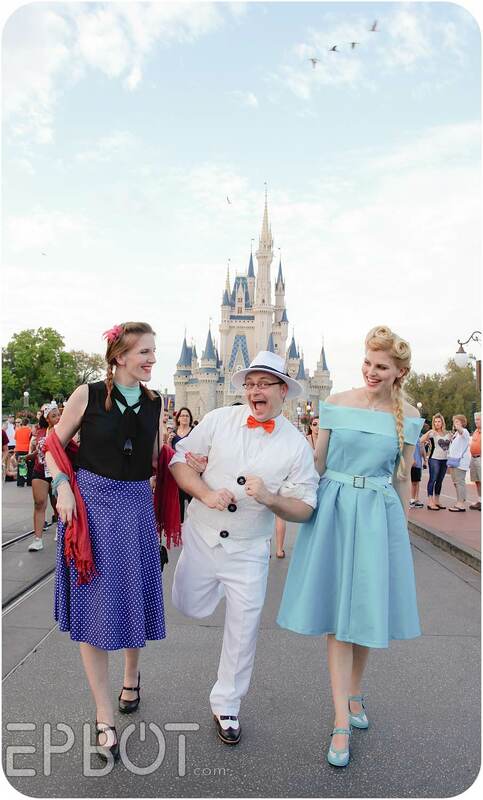 He said he felt like he should be selling ice cream in this outfit, but I think it's awesome. Even with only taking pics of my favorites, I ended up with a couple hundred photos - which I will now condense down to my top 40. Ish. Enjoy! 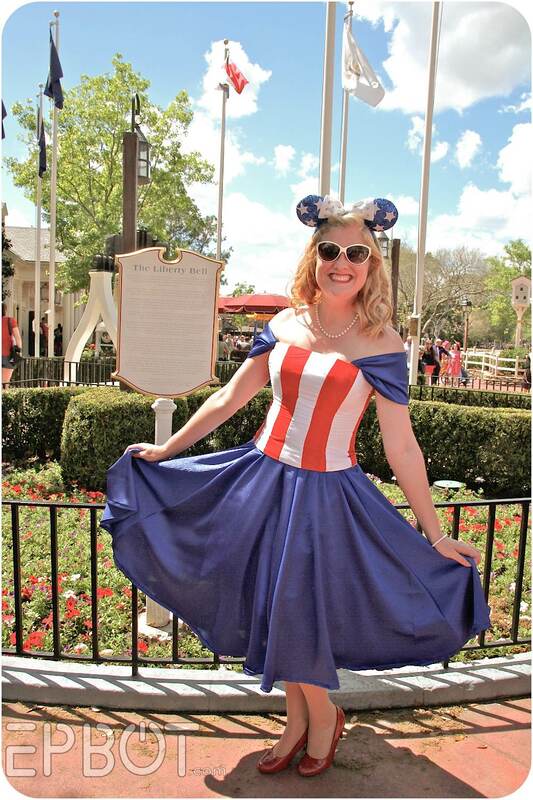 It's only fitting someone would Disneybound as a Dapper Dan, so kudos to Dapper Jill here for stepping up! 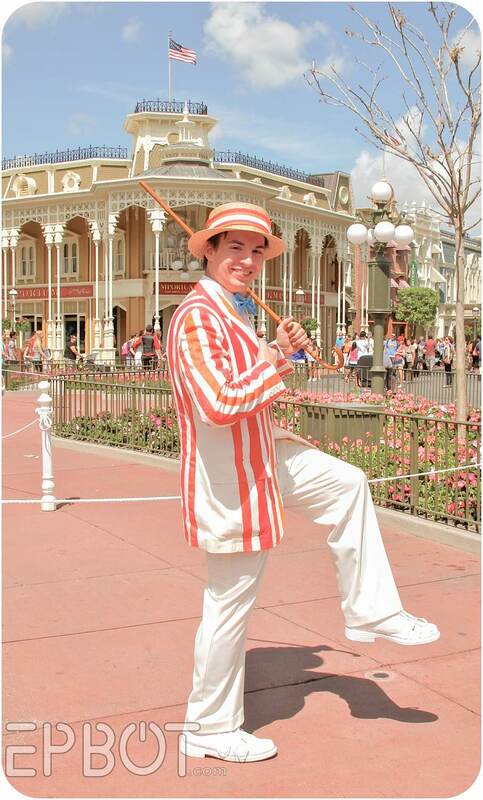 And that fella is actually Bert from Mary Poppins, but the straw hat fooled me at first. 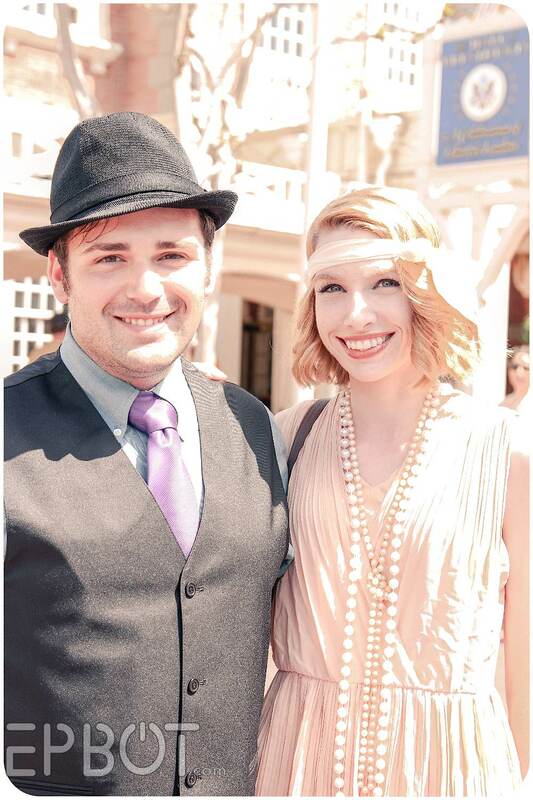 Seeing the new grassy areas filled with dapper gents & ladies made them even more beautiful - pretty as a vintage postcard! Love those Orange Bird ears - and I'm pretty sure she made them herself! 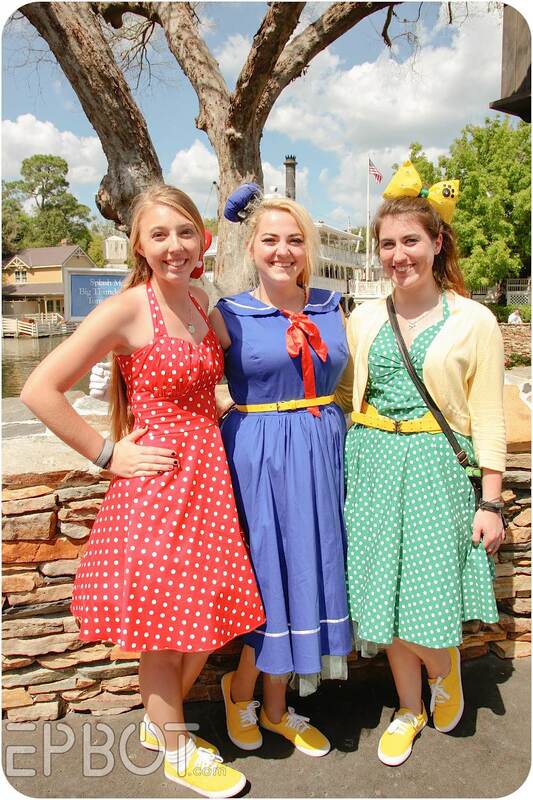 Plus check out the poison apple Mickey ears on the left! Aren't they great? 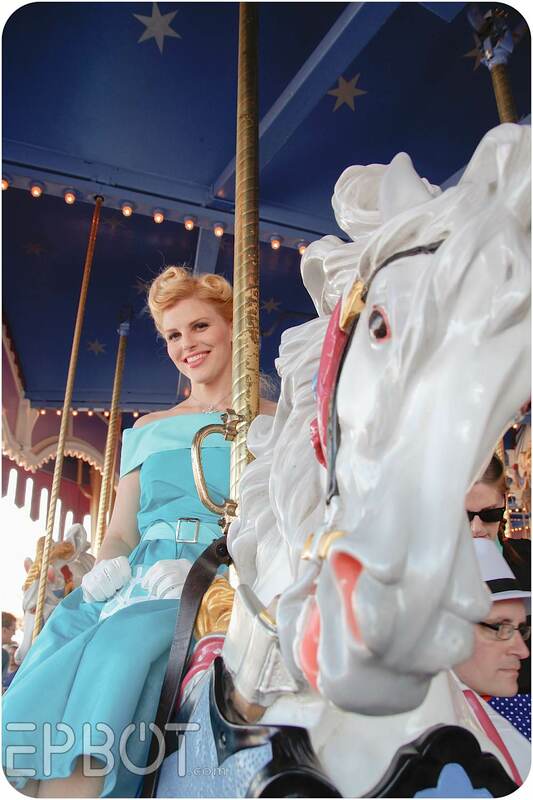 We spent the day with them, and little kids kept mistaking Christie for the *real* Elsa. I also took way too many pictures of them all, because I'm basically their groupie now. 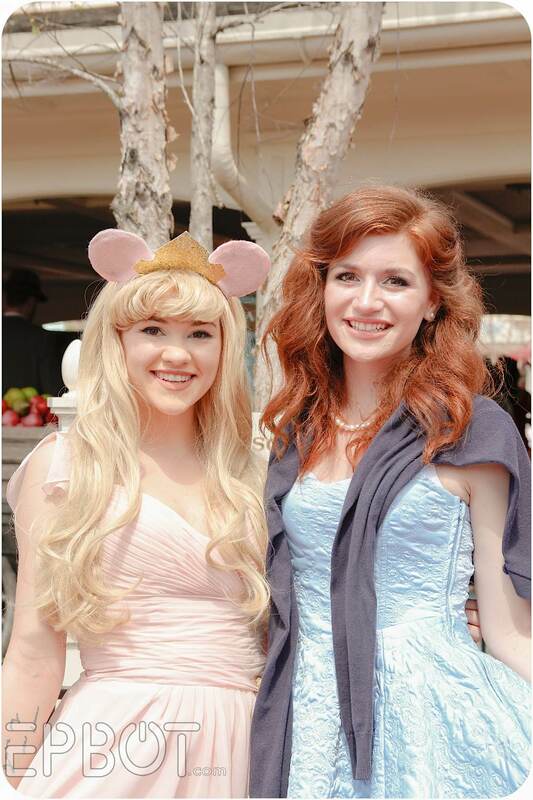 The Queen had playing cards on both her parasol and her hat, and the White Rabbit had a fur-trimmed bow tie! SO FUN. I love how they "put up their dukes" to pose! 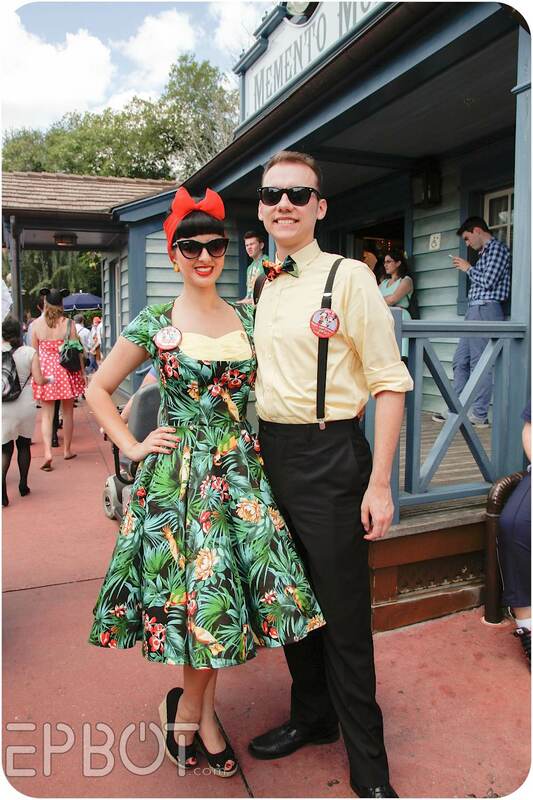 So happy to see more guys getting in on the Disneybounding action this year, too! 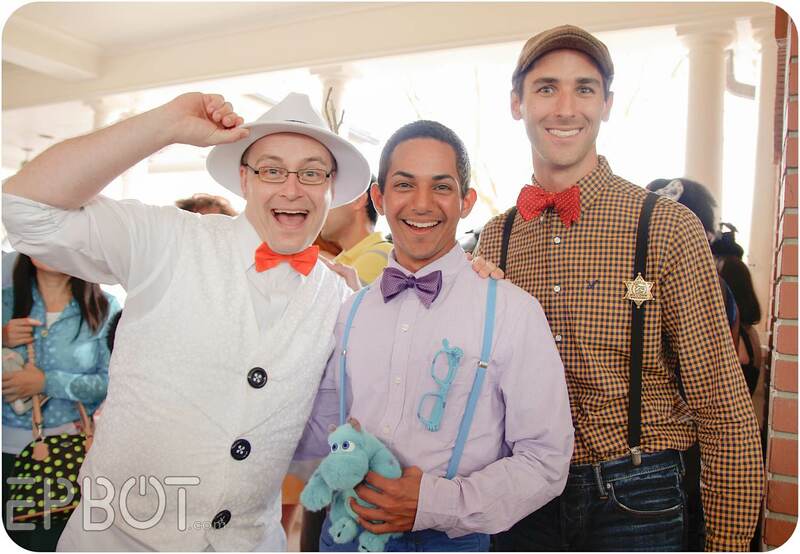 That's Olaf, Sully, and Woody. 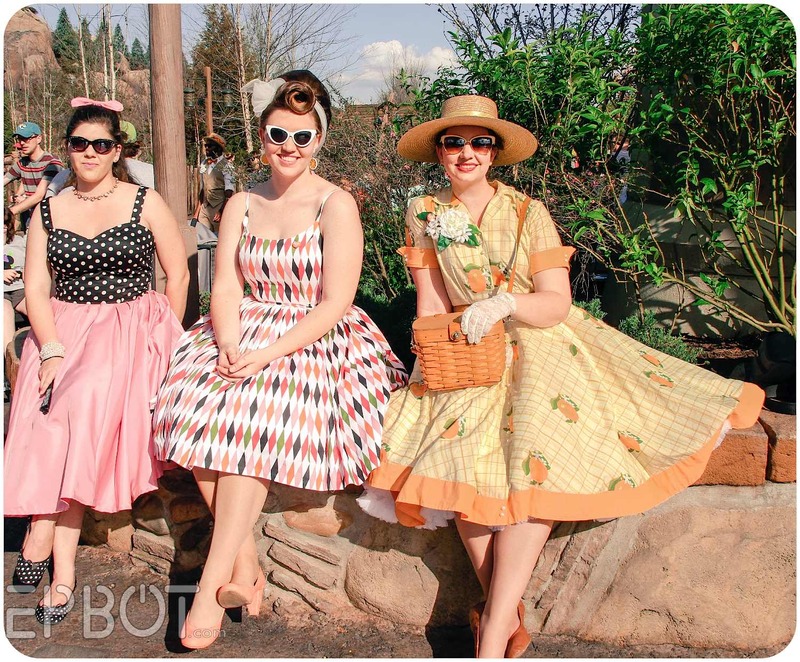 I really love this next shot; all the pretty dresses! 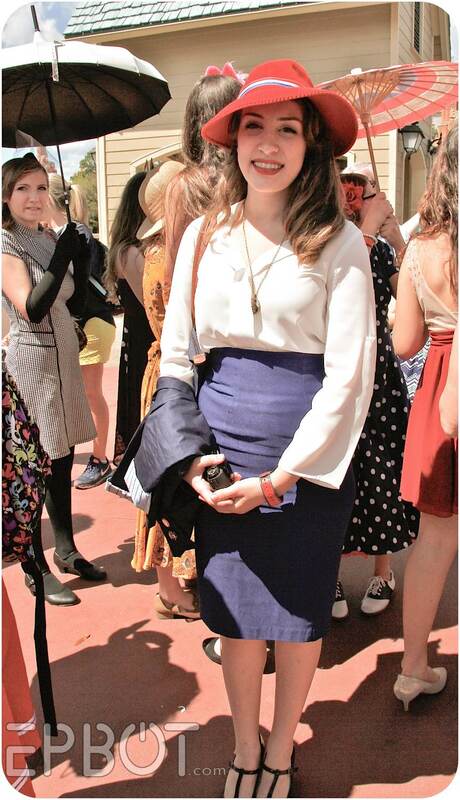 One of the meetups that day was for the Riverboat, and there were so many Dapper Day folks that only about half fit on the boat at a time, so it took two trips to fit them all! 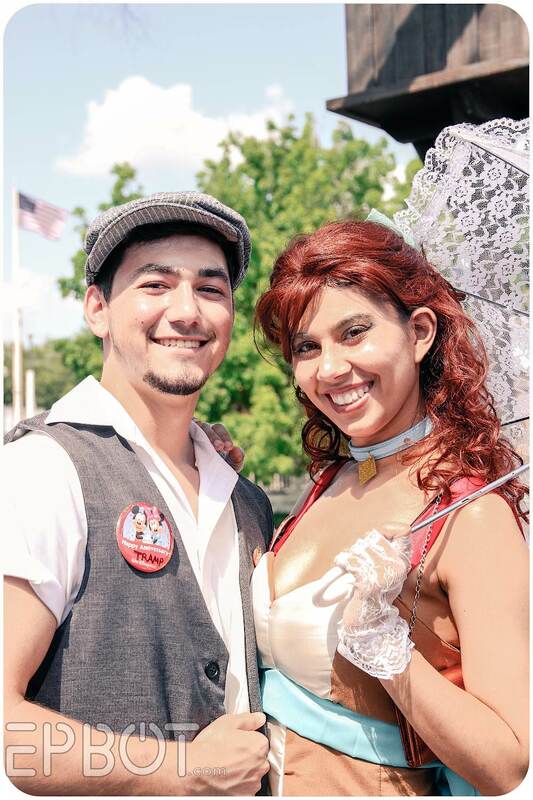 This couple was 'bounding as Lady & the Tramp - check out her collar necklace! 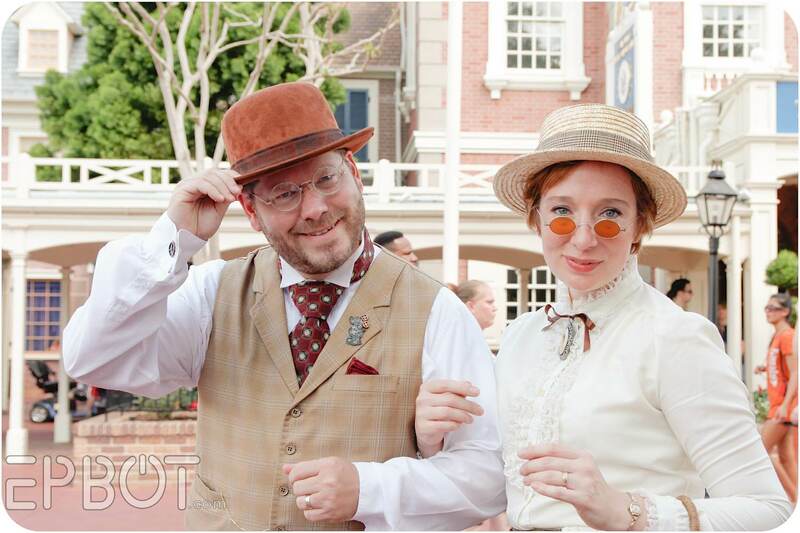 This couple actually asked *me* to take their photo, which was a first. 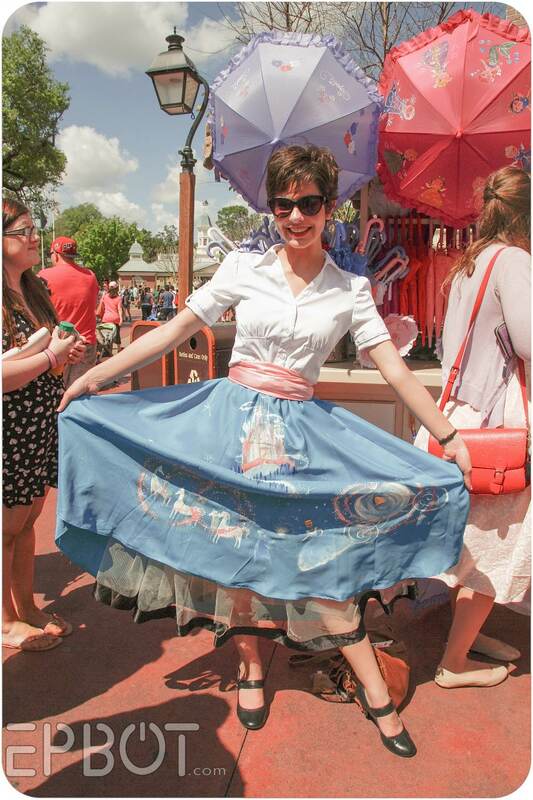 And I love the petticoats. PS - For all you dapper folk who were there on Saturday: there's still more! 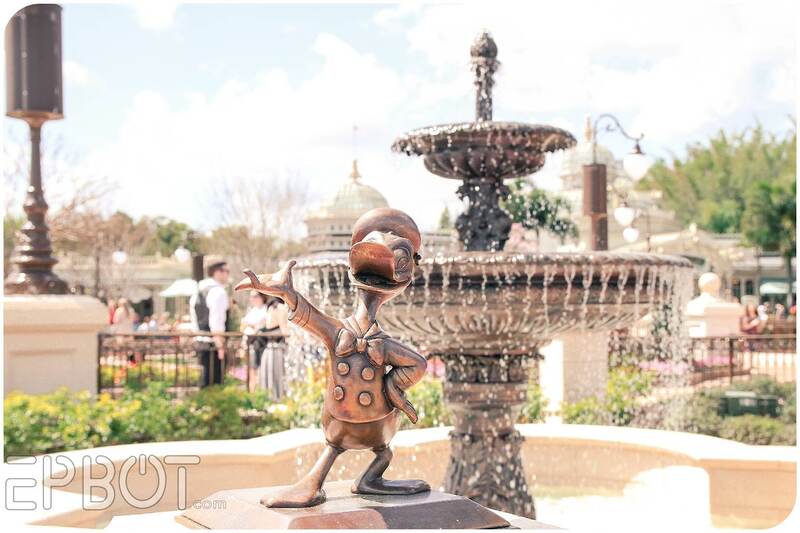 So be sure to check my Flickr gallery to see if I got your picture! 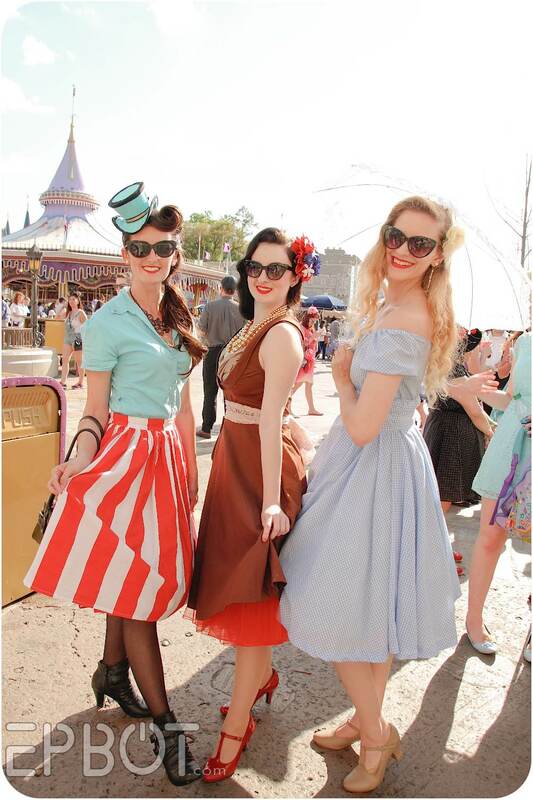 PPS - Forgot to mention the official website, DapperDay.com! 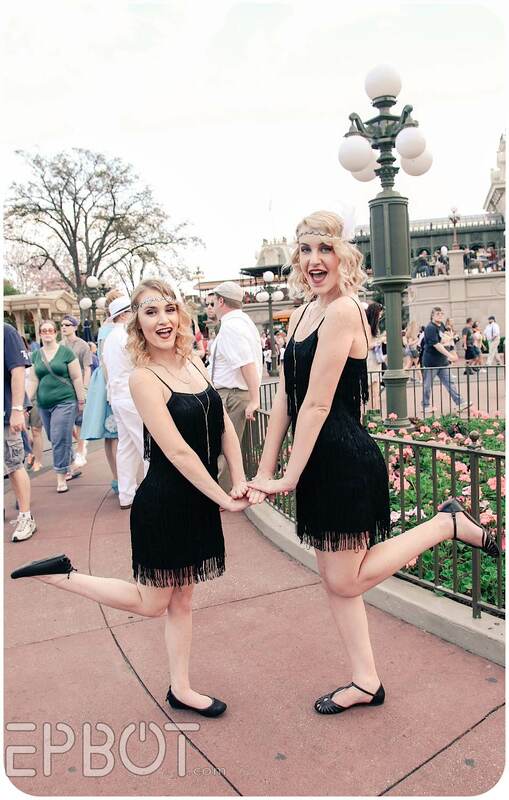 Check it out for their schedule of future Dapper Days and for some sweet photo galleries. Fabulous! 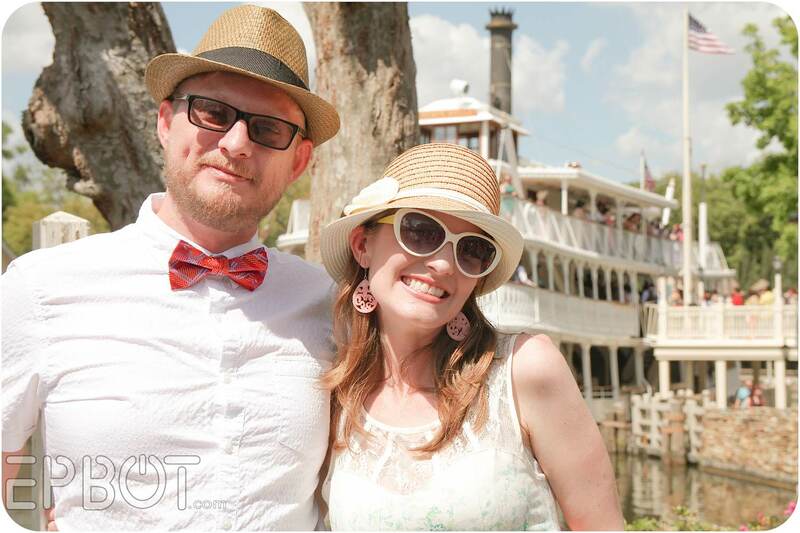 Do you let people know about Epbot when you take their photo so they can check out the shots? They all look so adorable! And those dresses are all lovely! The outfits are amazing! Do you have a tutorial anywhere on how you edit your photos? No, I'm still figuring that out as I go! For these I used Adobe Lightroom, and I mostly just brighten the exposure, skew everything yellow/red (for a vintage look) and cut out most of the contrast while bumping shadows all the way up. 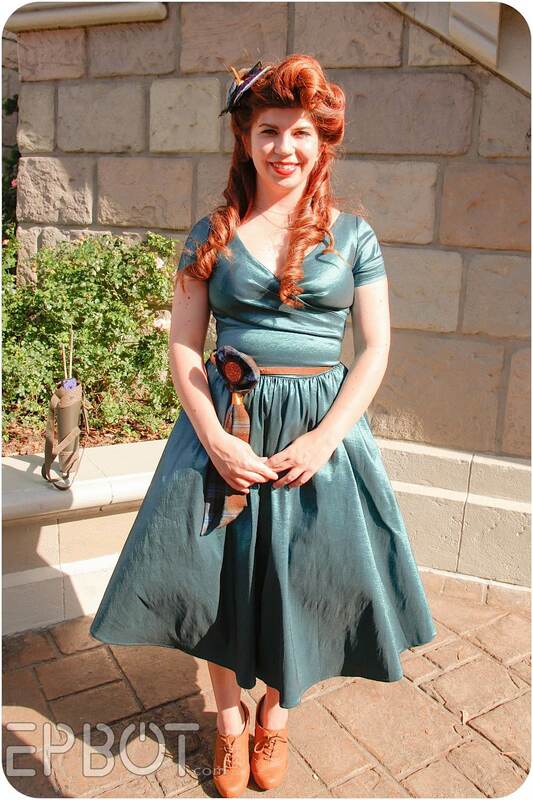 (That dappled shade is murder on photos.) It's really just playing with the settings 'til I see something I like, though! I am so going to this event some day ... Love! 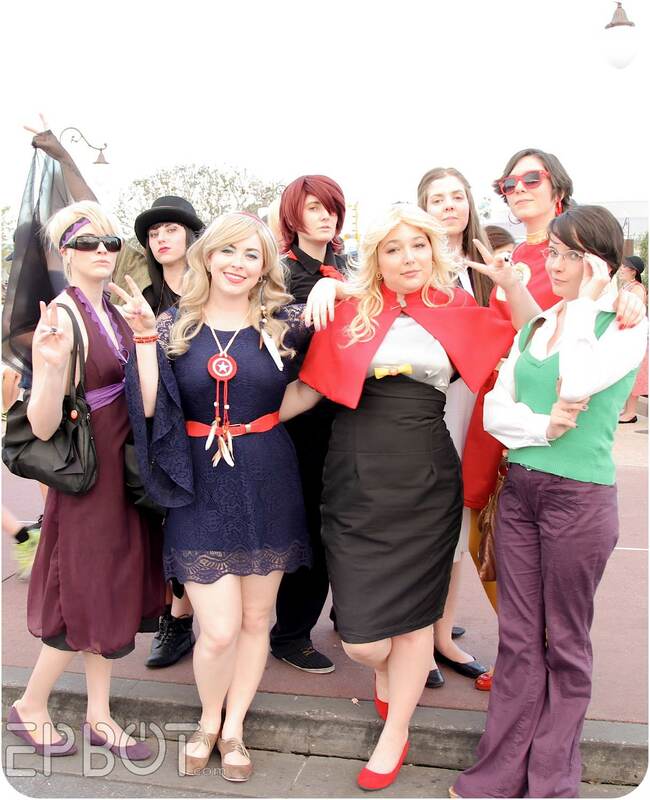 My favorites are the Lady and the Tramp, and the Gaston with her Baymax!! 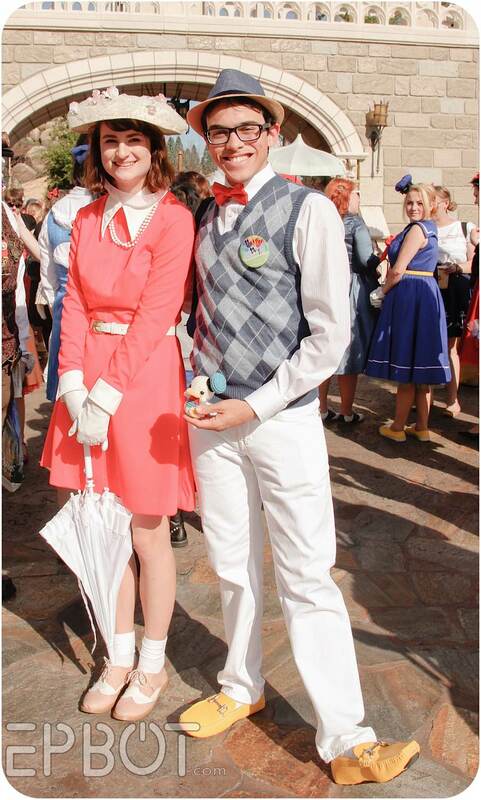 Your Dapper Day posts are ones I look forward to every year! 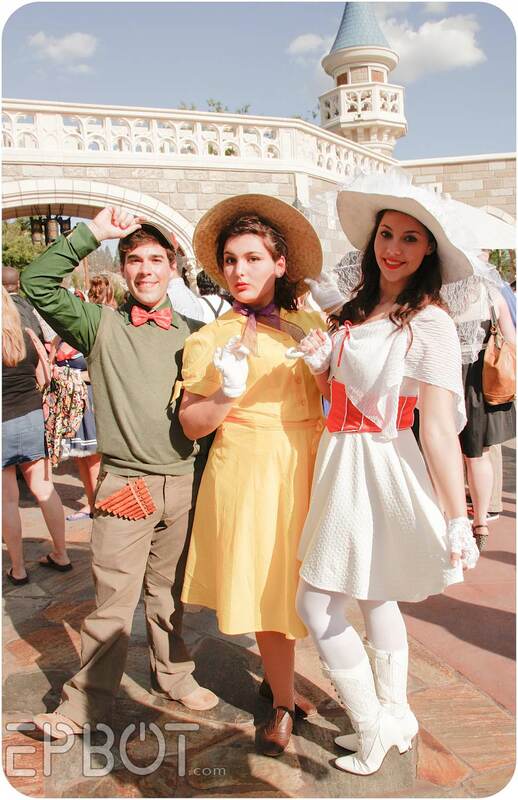 Someday, I'm going to make it to Dapper Day! All I can say is WOW! 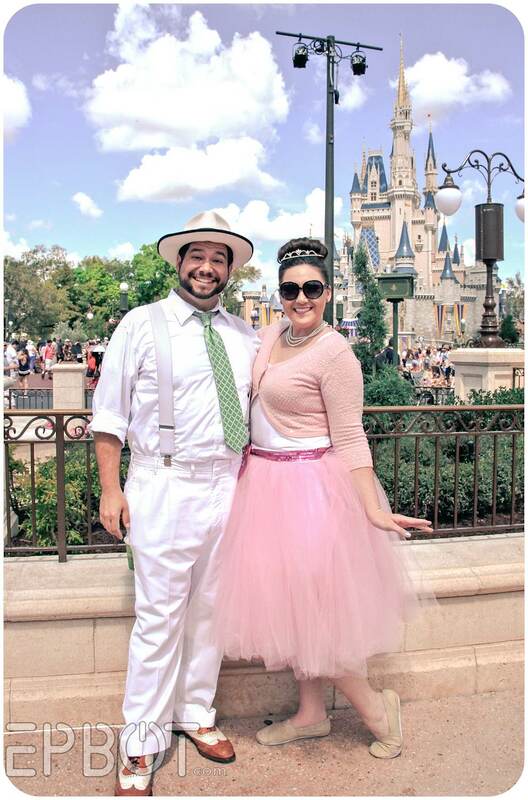 These are some awesome Dapper Dayers!! I love it!! 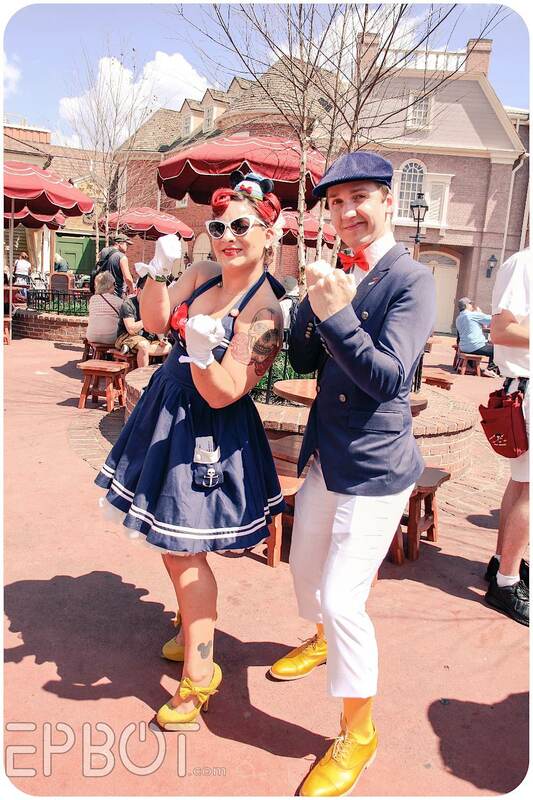 After learning about Dapper Day from you, I went to the DD at Disneyland this year (March 1) with my 7 year old son! 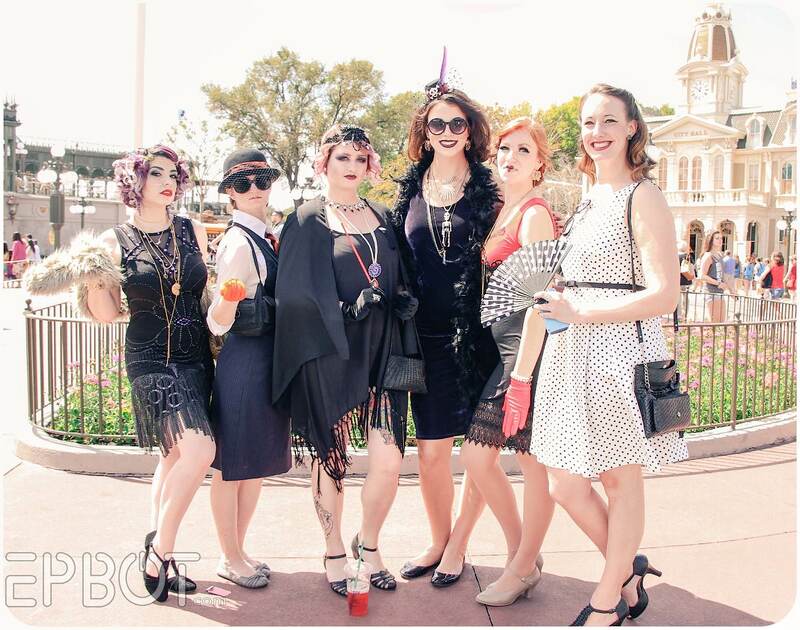 We were going to Dapper Disneybound as Maleficent and Diablo (inspired by the animated Sleeping Beauty rather than the recent film), but parts of my outfit didn't arrive in time. My son was way cuter than me anyway, and got all the attention in his pinstripe suit, fedora, and lavender shirt & tie. He said next time he wants a pocket square. I'm thrilled he wants to do it with me again! 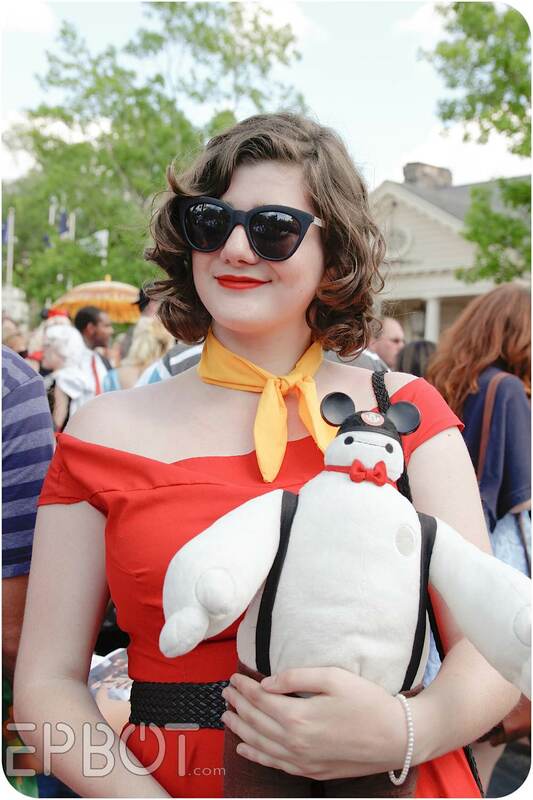 :) Most of my friends (and family) think I'm crazy for going (although most are polite enough to not say it to me in quite those words), so it's extra fun to have a kiddo who loves getting dressed up and going to Disney with me. I'm still too nervous to ask people if I can take their picture, so I didn't get any photos of the awesome outfits we saw. Talking to strangers sets off my anxiety, so I decided I'd rather just enjoy the time with my little guy instead of trying to get pictures. 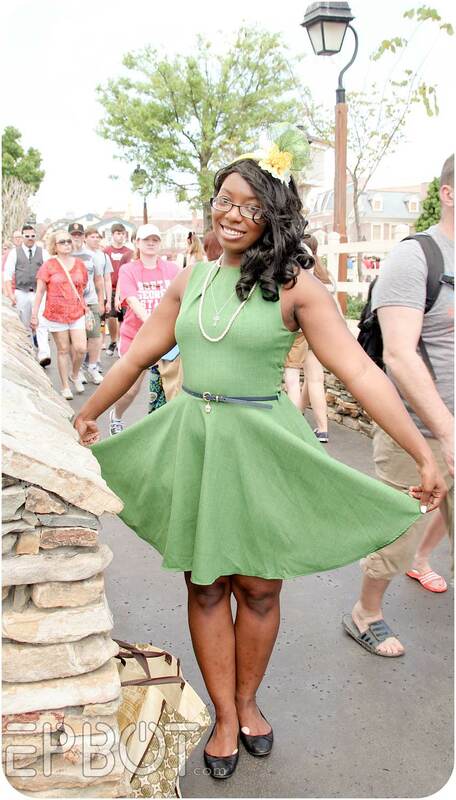 I LOVE that people wanted you to take their picture!! I think it would be fun just to follow you around and see all the people posing for photos for you! An 8 year old (next year) with a pocket square! Parenting: you're doing it right. Thanks, Fiona! :) I'm hoping his love of style and dressing sharp doesn't get beat out of him by peer pressure. 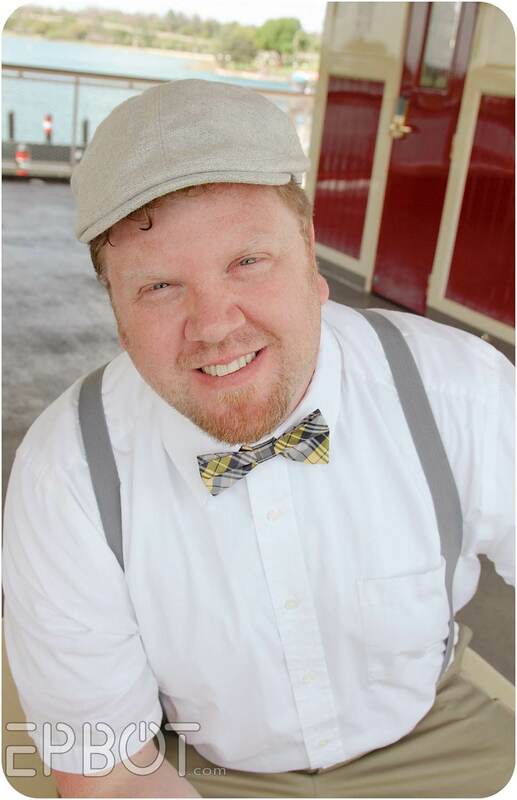 He used to wear bow ties to school every day, but once other kids started teasing him about it, he stopped. 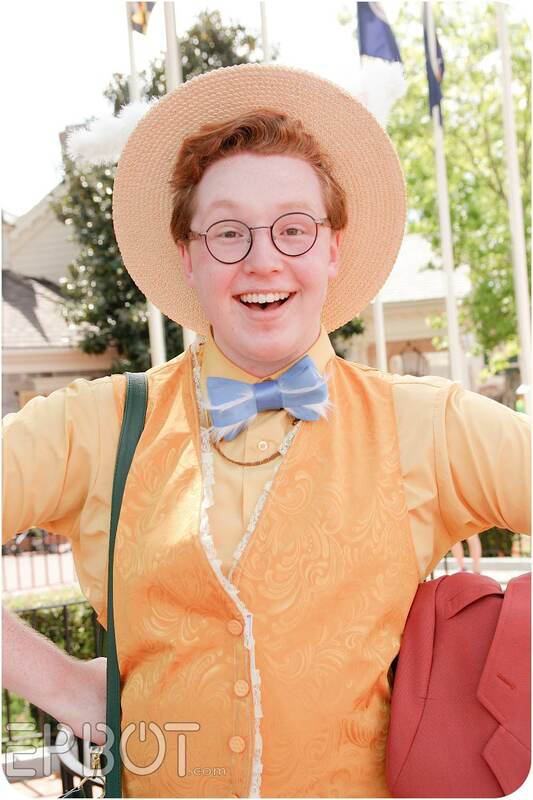 I love that Dapper Day is something he's excited about! 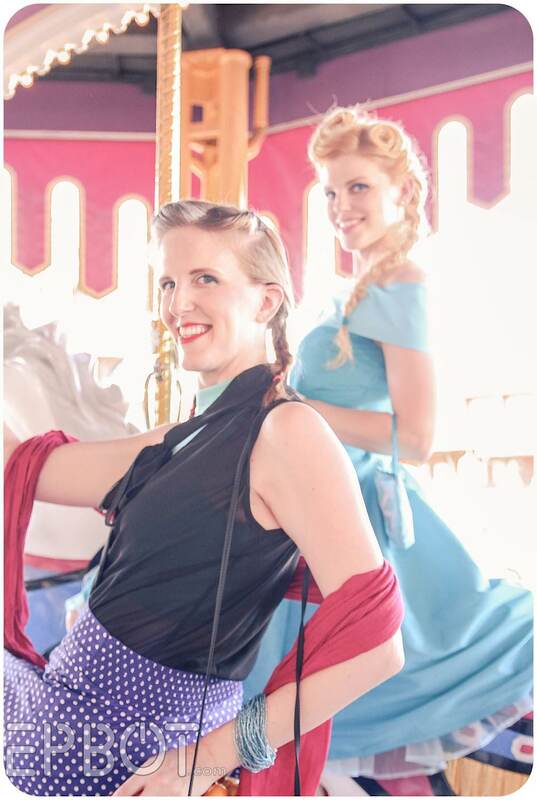 I thought that was John I spied on the Reese Sisters Facebook page. So cool he took part! Glad you get to experience so much awesomeness - and share it with us to also enjoy! Take care of that sunburn, girl! I want to do this so bad! It sounds like such fun and I love your photos every year! 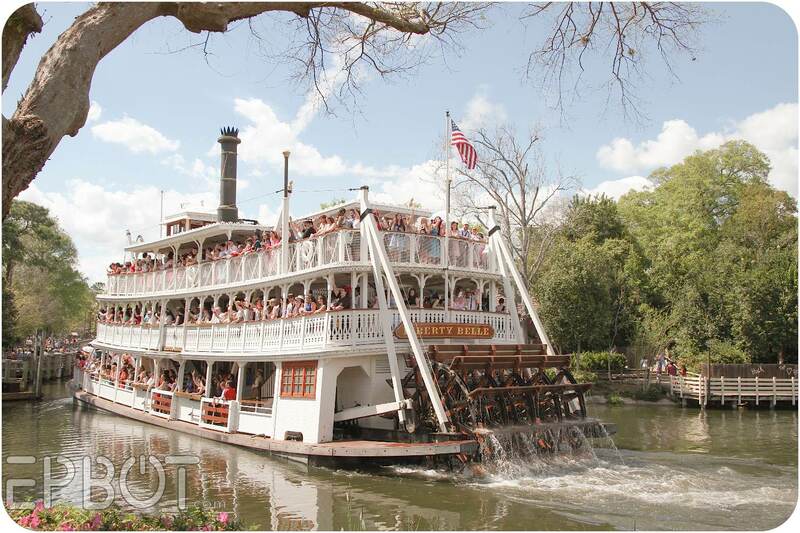 The last time I visited Disney World was around 1984. 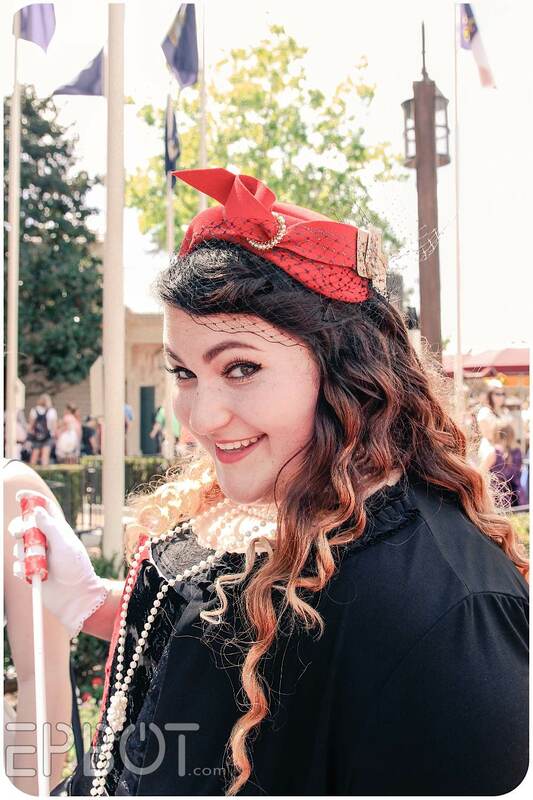 I'm going again this August, is there a website to find out if there's going to be unofficial events like Dapper Day or even Official events when I'll be there? There is! 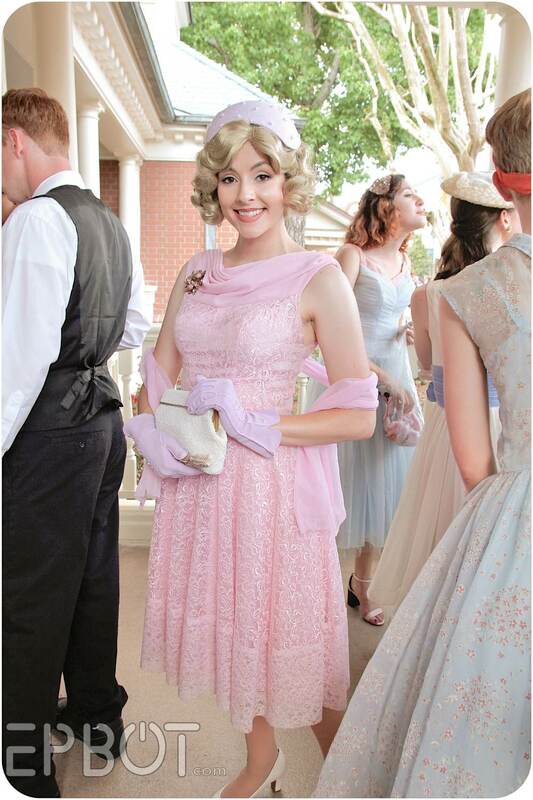 http://dapperday.com/ The next one is in the fall. 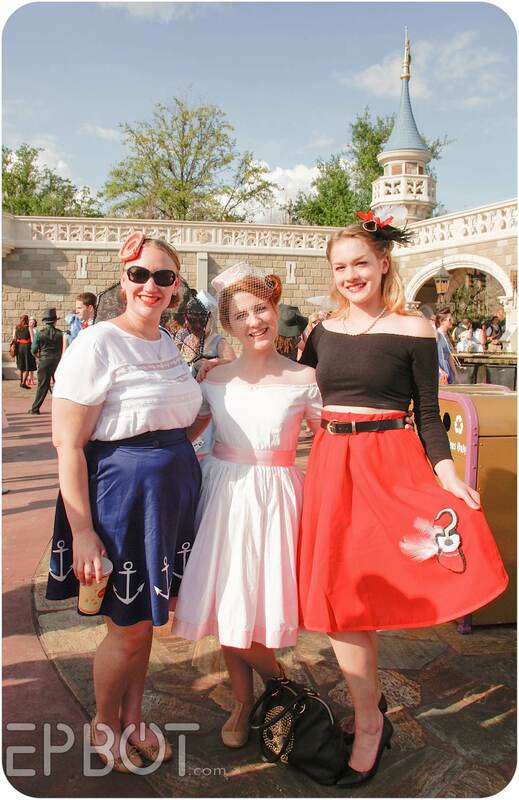 I also first discovered Dapper Day from Epbot and have gone to the last three here in California. It is so much fun! So thanks, Jen! Love all the costumes, they look so fab! And big girls represent, woot. Excellent photos, as always. 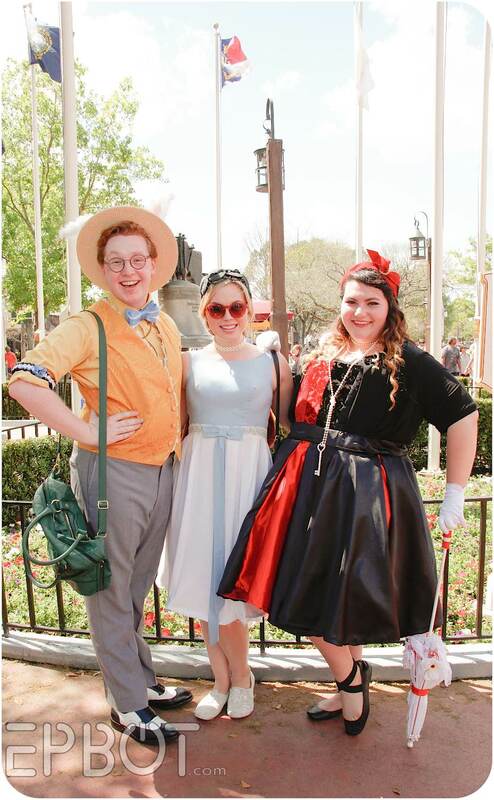 It is my dream to go to dapper day!! One day I will make it down. 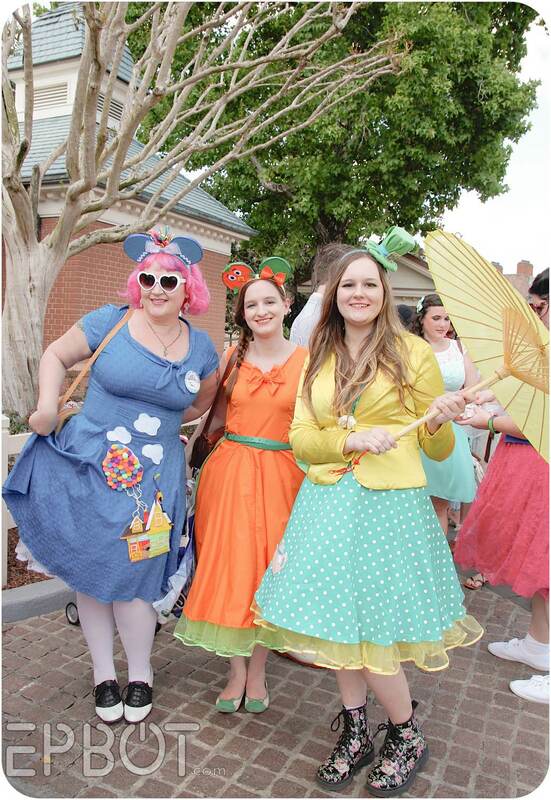 Its hard picking a favorite but i really like the mickey girl up at the top (in the pic with the poison apple ears) or the girl just to the left of the orange girl with all the diamond patterns on her dress..
All the outfits in the last picture look amazing. It looks like they put a lot of effort (and talent!) into them! Thanks for sharing. This post really makes me want to cry. 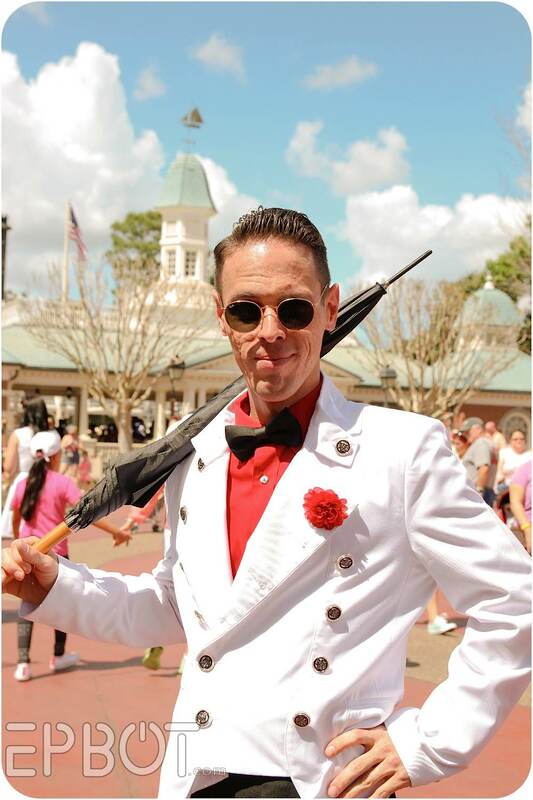 My own Dapper man, a Disney lover, passed away in January at age 49 from cancer. 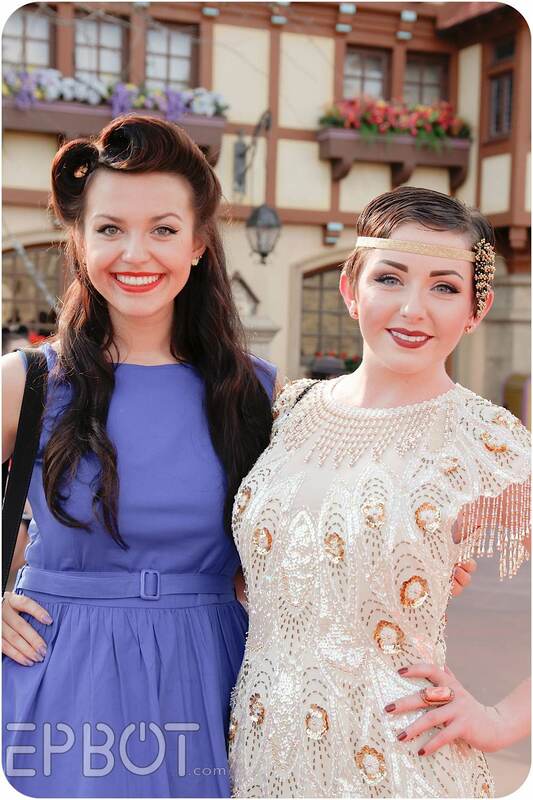 We really wanted to do Dapper Days and had talked about doing it this month. 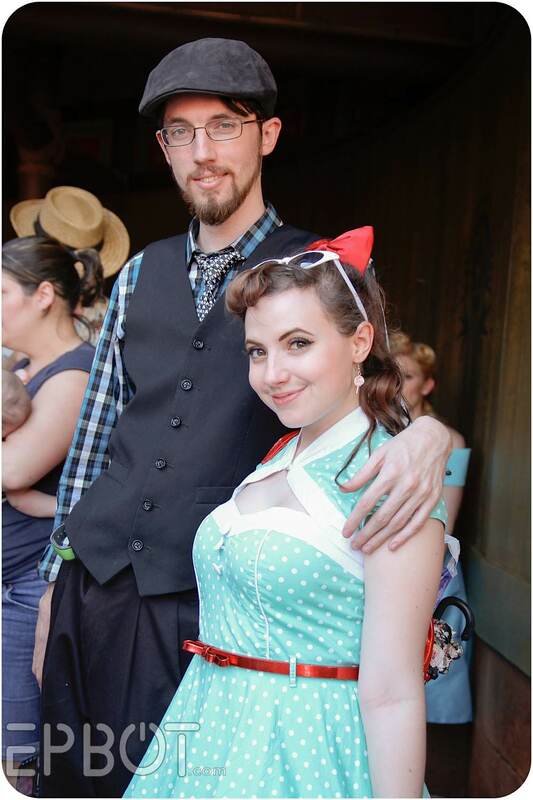 He was diagnosed last August and when they had the Fall Dapper Days, I showed him the photos from that event. He was pumped for it. Where do they get such wonderful SHOES? I am in love with vintage style shoes, but never manage to find any (or any that don't have a 5" heel and I'm not looking to break an ankle LOL). I feel the exact same way!! I got a pair of Mary Jane style Keens as my compromise, but I'd love to find a comfortable pair of vintage style shoes that I could wear around the park all day. @Shutterbug Jules Check out modcloth.com, uniquevintage.com, pinupgirlclothing.com, to name a few. I also buy a lot of my shoes second hand, and they come in all sorts of size heels, just have to be stubborn looking. :) Good luck! google "character shoes". they are the shoes women wear on stage. they have sensible heels and straps. 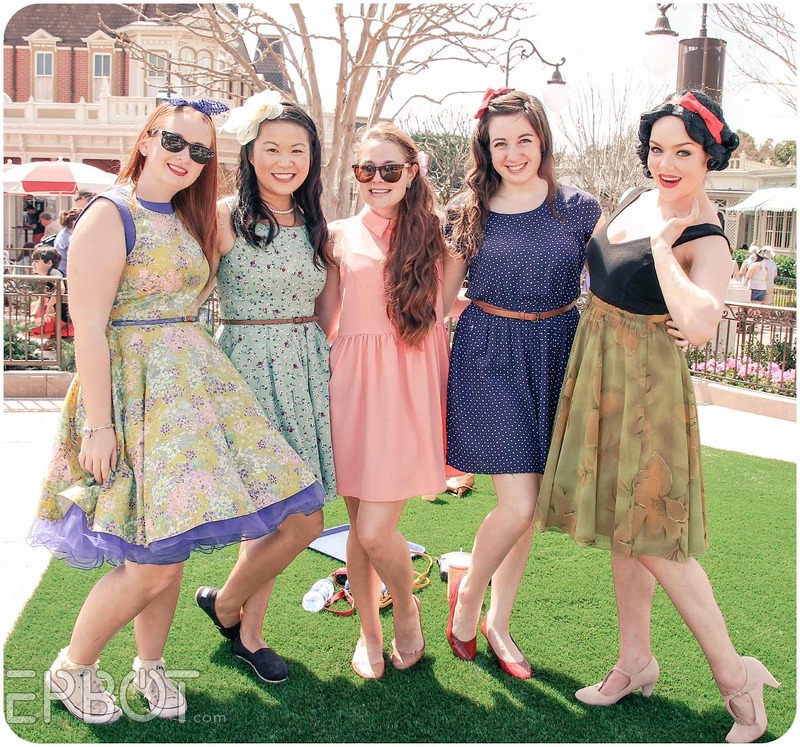 How have I never heard of Dapper Day before?? So positively wonderful!